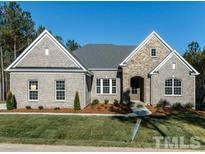 Below you can view all the homes for sale in the Glenmoor subdivision located in Wake Forest North Carolina. Listings in Glenmoor are updated daily from data we receive from the Raleigh multiple listing service. To learn more about any of these homes or to receive custom notifications when a new property is listed for sale in Glenmoor, give us a call at 919-230-8729. Check out tour for more photos. MLS#2240408. 636. Upgrades include 9' second floor ceilings, cosmo fireplace, oak stairs, quartz and granite countertops and hardwood floors. MLS#2228250. 810. Community is tucked away in a community off Thompson Mill Road with easy access to shopping, restaurants & US Hwy 1. MLS#2213824. 810. Pictures are of model home which is same floor plan. MLS#2204728. 810.